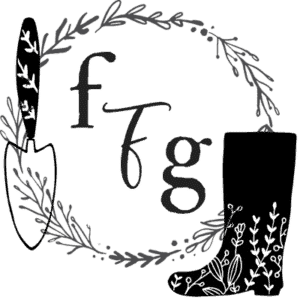 Any veggies that we grow and harvest within 30-45 days is a huge bonus to home food production. Quick crops offer better yield per growing space and dollar value for your efforts. Mustard greens thrive in cool temperatures and make a perfect fall crop. 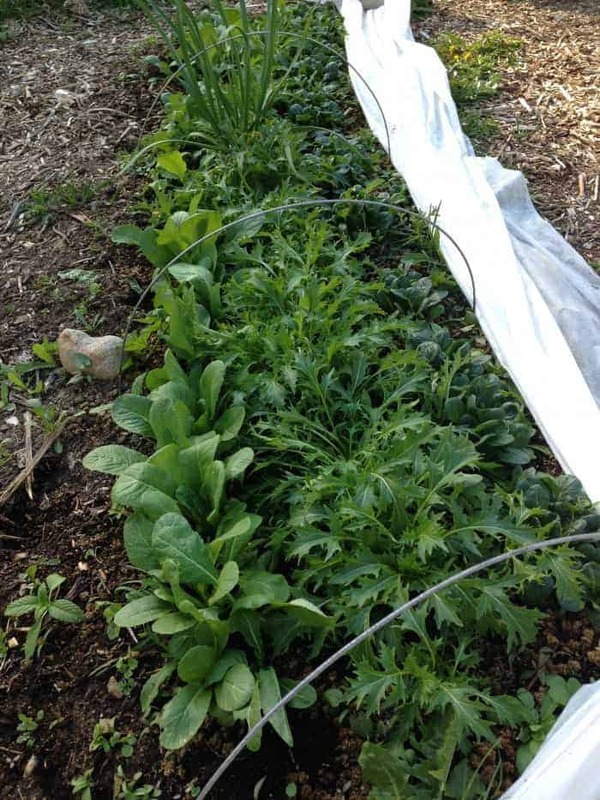 Mustard greens grow super fast too which makes them great pre & post crops around your main season harvest crops. 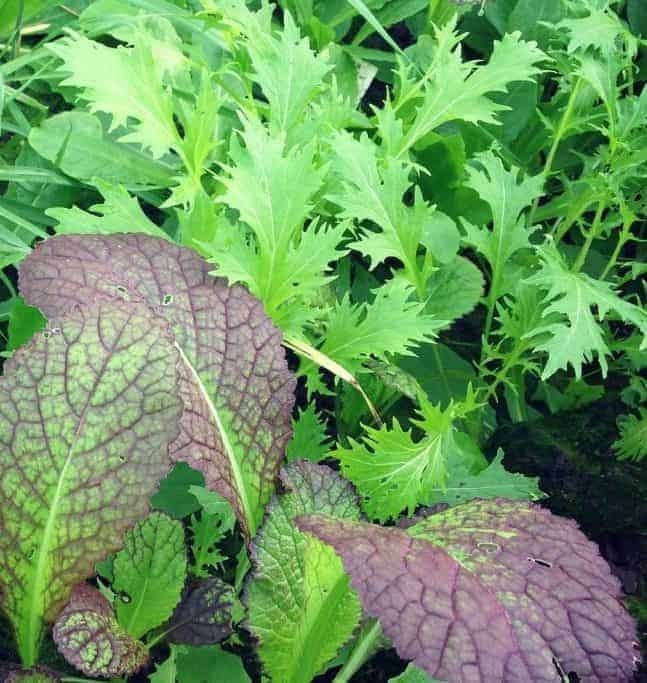 Although some of these greens can be quite spicy (like the ‘Giant Red Mustard’) some are much milder in flavour (‘Komatsuna’ and ‘Mizuna’ for example). Pac choi/bok choi are quick veggies great for stir frys that I’ll talk about today as well as ‘Tah Tsai’ (Tatsoi). There are lots of asian vegetables that I’ve yet to try, like the choi sum and gai lan to name a couple. 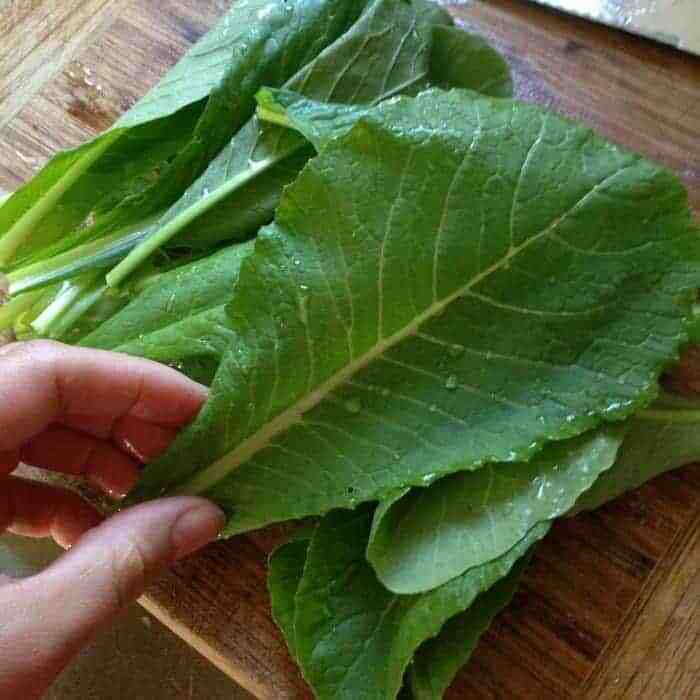 Komatsuna is a lovely tender green a lot milder than the other mustard greens. It loves cool spring weather and the baby leaves can harvested in 28 days and the larger leaves around 40 days. We eat it raw or cooked, in any way you’d eat spinach. We grow this crop again in the fall as it’s great for the fall/winter garden. Like most spring greens, these are grown as a come and cut again until the heat slows down growth. Komatsuna is much slower to bolt than some of the other spring greens, which is a bonus if you get spring heat waves like we do. Learn more about growing Komatsuna here. 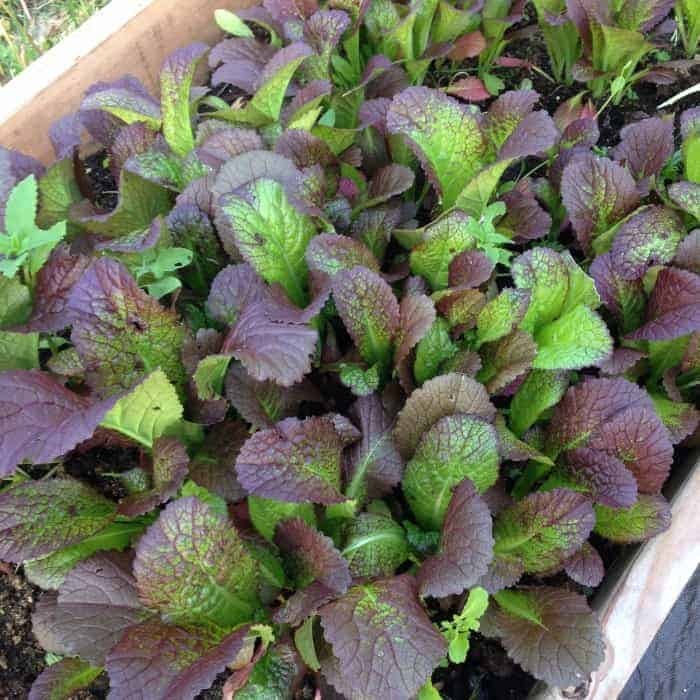 Many people are familiar with this frilly leafy green, if not because they’ve grown it themselves but in the mesclun salad blends you see at the grocery store. 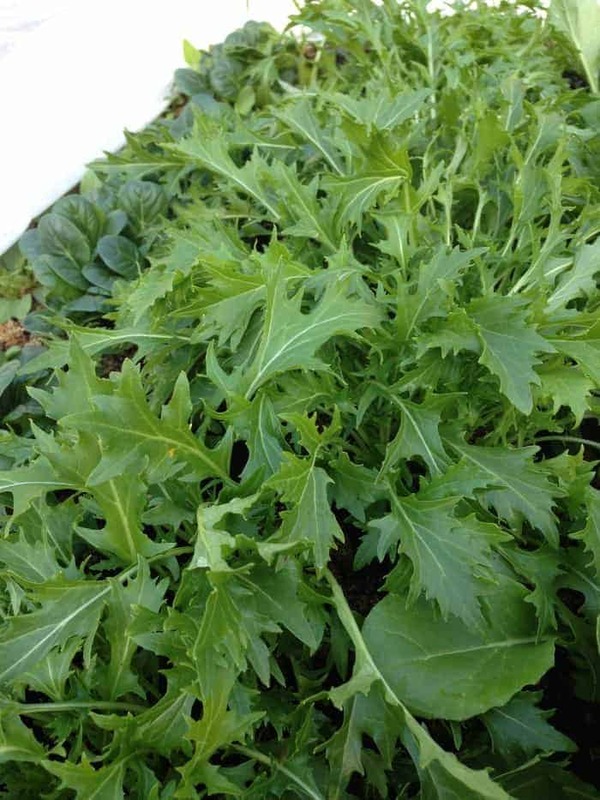 It has a mild mustard flavour and is grown as a come and cut again vegetable. I find it slightly better raw than cooked although we use it for both (the stem is quite noticeable when you cook it). It can handle light frosts and the baby leaves are ready in a month (and are often preferred over the large leaves). Once the summer heat sets in it’s best to pull it up as the flavour will get stronger and the plant will eventually bolt. 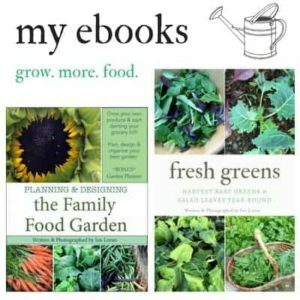 I love bok choi although to be honest our plants bolt very quickly in our hot springs and I can’t seem to grow the large plants that you see at the grocery store (yet!). I’ve learned to succession sow them every week for better bolt resistance. 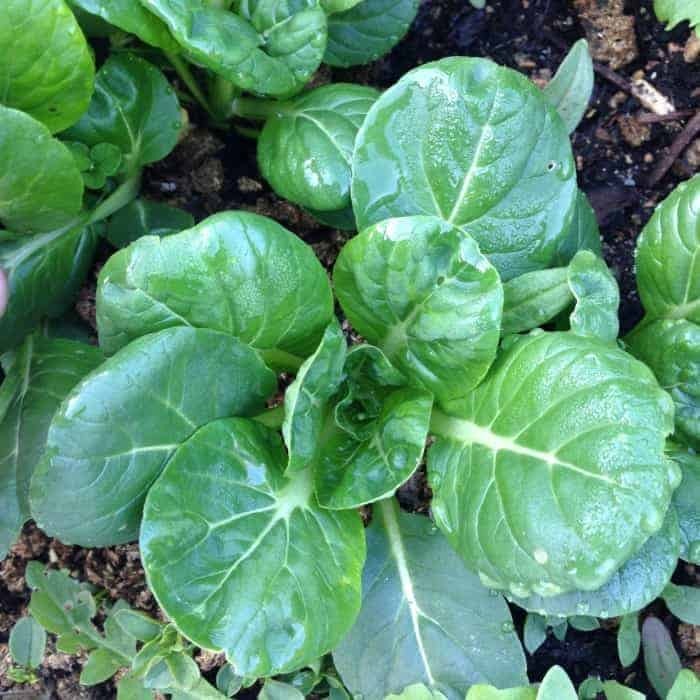 Ching Chiang & a dwarf bok choi were the first that we grew, ready in 30-40 days. The larger ones, that take about 45-55 days, I’ve yet to grow to full-sized. 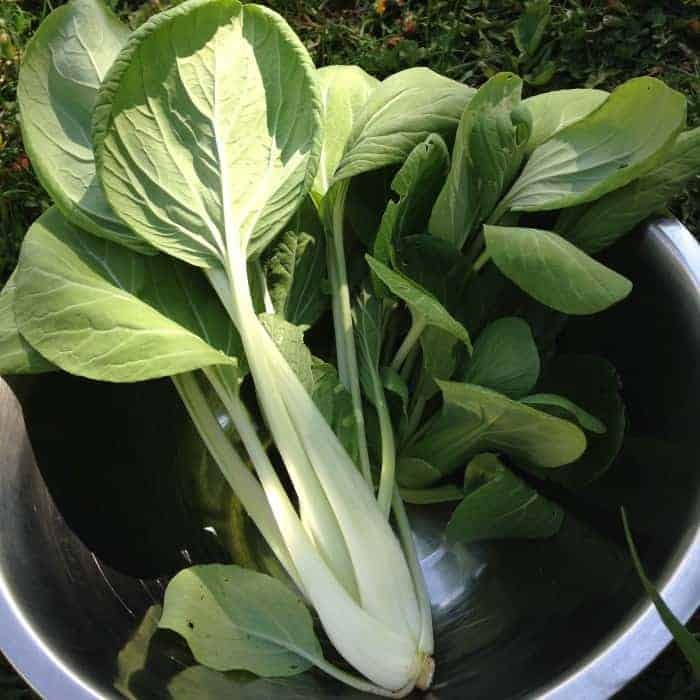 The one that I’ve had the most success with has been the white stemmed pac choi, although more experimentation with varieties is needed to get full-sized bok choi in this area, and perhaps I will have to jump to hybrids for this crop. If you like it hot hot hot then this is the mustard green for you! Tasting very much like wasabi, giant red mustard greens grows to be, well, giant sized. You can also harvest them at the smaller or baby leaf sized too (pictured above). The spicy flavour is greatly reduced after cooking. We often roll them into homemade sushi for that wasabi taste. The spiciness of this green gets strong the hotter the weather is, so be warned it’s slow to bolt but will taste really hot! ‘Osaka Purple’ is one similar that I’ve been meaning to try growing. 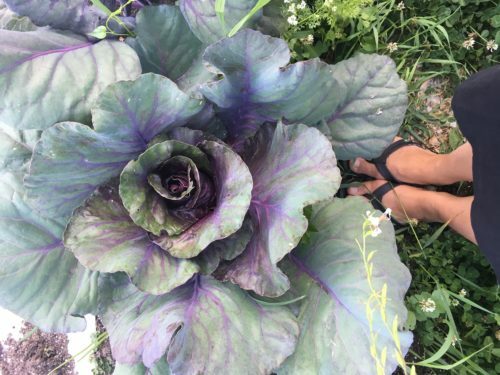 What a pretty vegetable!! This beautiful rosette of glossy greens are similar to pak choi but with a short stem. And oh so pretty! Have I mentioned that already? 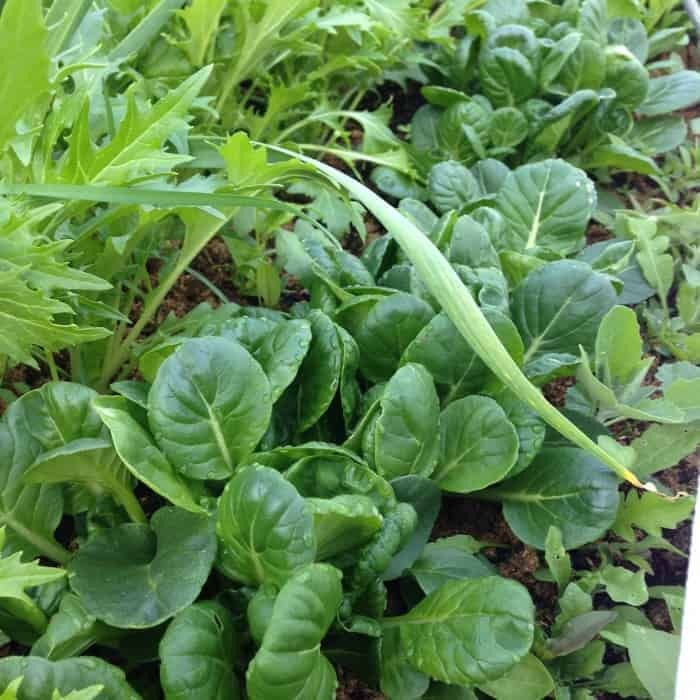 The picture above is a smaller plant only 30 days after direct seeding, but these veggies grow much wider and larger. They have lovely spoon-shaped leaves in thick overlapping bundles. Eat it in a stir fry or braised. I’ve yet to try it raw. It does bolt fast like the pac choi, so I’ve yet to grow it to full-sized. I still find that it’s worth growing, and I’ve managed to grow an extra early sowing under a fabric hoop tunnel and it thrives better than other springs. This crop, like many others that bolt easy, do better in the fall months than in the spring as the days get cooler instead of warmer. That concludes some of asian and mustard greens that we’ve grown. There are many more that I’d like to try, fast cool weather crops are becoming a new fav to use with our spring and fall season extenders. 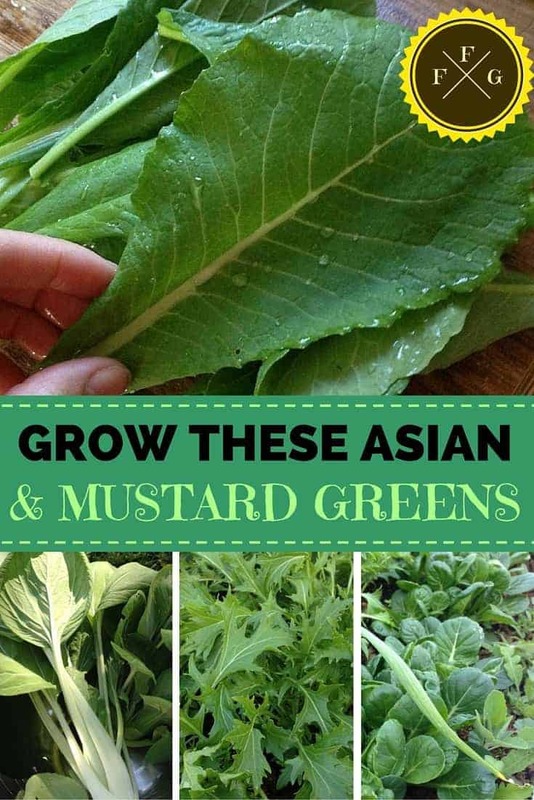 Have you grown asian/mustard greens before? What are your fav varieties? Komatsuna for the win! Tasty, and has more calcium than kale (softer too)!